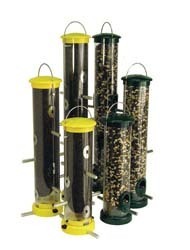 Our Quick-Clean® Seed Tube Feeders are the absolute easiest to clean feeders on the market. A quick press of two buttons and the base pops off for easy access. 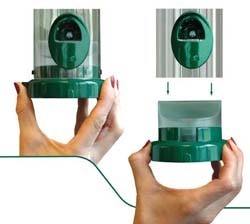 It attracts birds such as finches, nuthatches, chickadees and woodpeckers and comes with a lifetime guarantee that includes raccoon and squirrel damage. We also offer a variety of accessories including trays and weather guards.